People who think of rugby as a true tough-guy sport may be surprised to find out that one of the oldest rugby teams in Tennessee is actually comprised of women.  Nashville Women’s Rugby has been “rucking” it up since 1996 when the only other competitive rugby team in Tennessee was a men’s team. Fourteen years later, rugby in Tennessee has grown into a competitive women’s sport with leagues and teams competing in high school, college, and beyond. Mandy Yow, a Nashville Women’s Rugby team player and board member, says their team competes in the Senior Women’s Division, and they have players across a wide range of ages. Yow has described this year as a rebuilding year. Play consists of 15 players on the field at one time, and the team currently has approximately 30 players after combining with teams from Knoxville and Chattanooga. In February, the team held a rookie recruiting practice, and Yow discussed some of the challenges to getting girls out to play. “It’s rugby! It’s a full contact sport, and it does require travel and insurance,” Yow said. The team plays about 30 to 40 games during the course of an entire year, but there are only a few games in Nashville, and while some girls may shy away from the sport because of its reputation for injuries, Yow, who has been playing for seven years, says not to worry. Stephanie Pfeffer, one of the founding members and current president, said most rugby players will tell you that if you just try it out, you will become an avid player. No Replies to "Female rugby group still going strong after 14 years"